Search Engine Optimization is seen as the holy grail of online marketing. Many take ethically wrong approaches to rank higher and gain the position’s benefits, but it seldom lasts. Also, not everyone has the resources or money to spend on PPC campaigns to reach maximum people. Thus, the best way to climb up high in search rankings and retain that position is through organic marketing. An organic SEO growth approach works well as it also fosters your business’s development alongside. In fact, 70% of the links search users click on are organic. So, let’s take a look at some of the best organic marketing approaches to climbing up the Search Engine Results Page (SERP), albeit slowly but steadily. 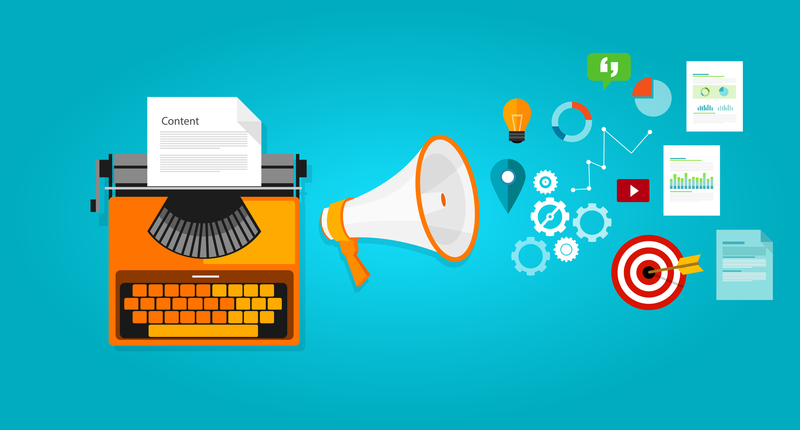 Content marketing is by far the most useful method of ranking up high on the desired SERP. It has many dimensions to it, but the basic gist is to provide users with content revolving around your service that will benefit them. Create exceptional content, ensure proper distribution through worthy channels and you will witness a gradual but guaranteed rise in your search rankings. A report found out, companies that blog have around 434% more indexed pages on search engines, which then transforms into more leads and conversions. Thus, content marketing is too big to ignore. If done effectively, it is much more beneficial than most of the other forms of online marketing. A very excellent example of a brand that has leveraged content marketing to the fullest is Airbnb. Being a global brand, which is used by a large cross-section of people, it has great articles, tips from the community and much more. Since it is used in many countries, the blog is available in multiple languages so that language is never a barrier. No doubt it ranks high on most of the keywords relevant to its business. No matter what kind of online business you own, there are a set of keywords that your target audience frequently search. Research those keywords with the help of tools like Google Trends, Google Keyword Planner, Moz Keyword Explorer and other similar ones. However, while strategizing what keywords to use, don’t stock up the page with too many keywords. Google’s algorithms have become smart enough to detect pages trying to manipulate search engines by keyword stuffing. The best way to use keywords is to write naturally at first, then see which set of words have more search volume and then tweak your words according to your findings. However, keep in mind not to compromise on your content quality to fit in keywords unnaturally. Put yourself in your user’s shoes and think how you would search to find a particular service. This will help you optimize your pages with necessary keywords. Use relevant keywords in your title, meta description, headings and the body text in a natural yet significant manner. However, to gain maximum benefit, you would need to keep an eye on how the existing keywords are performing. With time, different keywords will gain significance, and you will need to adapt to the change. A great example for keyword targeting would be Amazon. It generates around 57% of its total sales by using long-tail keywords. That is a staggering number and a perfect testimony of how targeted keywords can convert directly into sales. According to a Forrester study, videos are 53x more likely to rank than plain text content. This clearly reveals the rise in explainer video marketing. With informative videos occupying about 80% of the video content (in SERPs), there is no doubt as to why you should be using them in your marketing strategy. Videos help boost the SERP ranking. In fact, Google’s hummingbird also favors videos for SERP. With video results being prioritized by Google, one can easily see the fundamental shift towards useful video content and its influence on SERP rank. By placing an explainer video on the homepage, RankWatch not only saw an increase in customer signups by 27% but the site’s bounce rate dropped from 62% to 35%. The same video got viral on Facebook generating 48000+ likes in a single day. GoPro utilised the opprotunity to create a viral video as a result of which their sales skyrocketed more than 50%. The story behind the video is rather interesting. A firefighter had gone to rescue a kitten while wearing a GoPro camera. Taking this raw footage, GoPro converted it into a video titled “Fireman saves kittens”. Take a look. Social media has become a big part of the overall digital landscape today. It has become almost mandatory for brands to have a good social media presence for being constantly in front of their audiences. Since marketing on social media can also be organic, this is one of the best approaches to rake up your search rankings. Studies in the past have shown that when users are exposed to search as well as social media presence of a particular brand, it leads to an increase in search CTR of about 94% for that brand. Apart from your efforts, encourage users to share your content on social media and provide them with an easy way to do so. It will work in sync with your efforts and at times, will be more beneficial. When your users share content with their friends, it is much more credible and creates better online word of mouth, more on that later. A brand that has constantly engaged with their audience and perfectly managed to do good social media marketing is American food giant Taco Bell. Most of the brand’s efforts are organic, and it has helped the food chain in building more credibility and climb up in search rankings, which eventually leads to more online orders. Positive word of mouth, apart from being a reliable indicator of a good service also results in more sales gradually. It is a traditional organic marketing approach that will never die. Now that sales happen online, word of mouth spreads through various mediums on the internet such as social media, online reviews, forums and much more. If your users speak about your product or service, your brand will naturally start getting more attention, and thus, it will be reflected in search engine rankings. Google takes brand keywords into account, and when people start searching such keywords, your brand will be the first to feature there. Although this approach shall take more time than others, it is highly valuable. Creating positive word of mouth means providing an excellent service which then translates into more customers. This is among the best methods to grow organically in an online word brimmed with competitors. The best example for positive word of mouth impact is of TrueCaller. Remember the first time you heard about the brand; it was probably some friend raving about how the app magically shows you the name behind an unknown number. The brand jumped into paid advertisements much later when it began to grow exponentially. Initially, word of mouth worked like a charm to create maximum buzz, and when users started searching about the utility, TrueCaller already ranked high. To succeed in ranking high through all these organic marketing approaches, you need to be thoroughly consistent while performing these activities. Without consistency, your organic efforts would gradually pale off against paid campaigns and search results. However, brands that stay consistent in their organic marketing endeavor to climb up the search rankings are bound to achieve their goals, much sooner than later.